A Development Consent Order application submitted by the firm hoping to bring aviation back to the Manston airport site has been accepted for the pre-examination stage by the Planning Inspectorate. The Planning Inspectorate said its concerns included an absence of sufficient information about whether the development constituted a Nationally Significant Infrastructure Project (NSIP) and the adequacy of the Transport Assessment and the Funding Statement. The new application has been accepted today (August 14). An Examining Authority will now be appointed to examine the application. All Interested Parties and other statutory bodies will be notified of the appointment after it has been made. Representations can then be made. The application has to go through a pre-examination and then an examination stage before a decision on whether to grant the order is made. The Planning Inspectorate has approximately three months to prepare for the Examination. Once the application moves on to Phase 4 (Examination) there is a maximum of 12 months for the Secretary of State to make a decision on whether to approve the DCO to reopen Manston airport. Given the position of Manston, I don’t suppose RSP’s application has much chance of succeeding. As a resident of Ramsgate, I certainly hope they don’t. I am a resident of Ramsgate and behind the Re Opening of Manston Airport 100 percent. Good Luck RSP with the application. Lets bring Manston back to life. On the contrary, Marva Rees, the prospects for success are excellent. Nearly all DCO Applications that get this far succeed, and the teams of legal, environmental and planning consultants that RiverOak have engaged have never lost a single DCO case. Full documentation provided by RiverOak in support of the Application will appear on the Planning Inspectorate website very shortly, now that it has progressed to the Pre-Examination stage. Friends and Foes of the DCO Application are encouraged to register as interested parties so that they may make relevant submissions on the Application for the Examiners to consider when making their recommendations to the Secretary of State for Housing, Communities & Local Government. He, in turn, will submit his report to the Secretary of State for Transport who will ultimately use his unfettered discretion in determining whether to accept those recommendations or to do so on different terms or reject it. For anyone who follows these things closely, the most likely outcome is that the Application will prevail. I’d very much like to know, Dr. Pritchard, why you, another Ramsgate resident, are so keen on supporting a scheme which would, if successful, see the end of Ramsgate as a pleasant place to live and of the town’s gradual resurgence as a tourist destination. I’d also like to know why on earth the two MPs for Thanet are similarly keen. Are you all suffering from a bad case of cognitive dissonance? I ask this because although you must be aware of the environmental, psychological and physical (health) damage caused by airports, you still want an airport at Manston- a very few miles away from a town of 40,000 people. The application has a long way to go before it can prevail. Marva Rees, your major premise is false. Most major tourist destinations have a nearby airport which massively underpins their local economies, not only by conveying tourists to and from their localities but also providing goods and services and salaries that help to keep those tourist destinations working year-round. At the same time, those who work in the tourist economy often struggle to make ends meet, frequently on minimum wages or zero hours contracts. Who in that sector won’t welcome major inward investment, sustained over a great many years, and the prosperity that such investment is geared to provide? The environmental, psychological and physiological damage that you refer to is unlikely to be a significant or even measurable factor at the level of activities that are forecast by RiverOak. The number of aircraft movements is not expected to be troublesome, when measured across the sixteen-hour working day in which most flights will take place, and Manston’s location is highly favourable to the attenuation of most of what little adverse effects might be anticipated (which pale into insignificance compared with the benefits that the airport, when regenerated, will contribute to our socio-economic welfare. This, however, is well-understood by locals who recall the airport’s past with affection, who deride the overblown claims of its critics, and who overwhelmingly support the airport’s return to use by margins of between 8:1 or 9:1 in poll after poll and survey after survey (and indeed in election after election). The application will take time to work through the remaining stages of the DCO process, but you know what? That time will seem to fly by, and you will have plenty of opportunities to make relevant and admissible representations — or indeed any representations at all — between now and the Spring of 2019. So will those of us who support the Applicant’s DCO Application. I think Marva he his. This whole reply is based on speculation and very colourful but ultimately baseless conjecture. In the first paragraph we get a confused point of view about how it would be great to have an airport next to a tourist destination followed by how employment from tourism is terrible (speculation). Make your mind up John. In short there are no actual facts just twaddle. Hmm Newquay airport a vital lifeline to Cornwall is it Pritchard……..
You get more ridiculous with every post you make, give it up. As an academic, you must be aware that just because something happened in the past, something else will happen in the future. For example, just because a trainer had a winner in last week’s race doesn’t mean that there will be one this week. There is no causal link. If RSP’s team of experts is so good why did RSP have to withdraw its application at the last minute and fundamentally rewrite large chunks of it? Surely, if they were so good, they would have got it right the first time? I read with interest the Inspector’s s51 advice to RSP. In particular, there’s a whole page where the PI strenuously and sternly presses RSP to provide information about backers, funding, directors, bankers and so on. When the then ROIC tried to get a CPO with the Labour administration, it eventually failed in its bid, because it wouldn’t or couldn’t show where the money was. ROIC tried ahain with the UKIP administration, and were rejected for the same reasons. In its new guise as RSP, an application for a DCO was (eventually) put in – anf withdrawn. Onr of the many concerns of thr PI was funding, and lack of evidence. I don’t understand why the application has been accepted: but it’s overwhelmingly clear that RSP has nothing like the £500,000,000 necessary to see the job through. Andrew, what a curious argument you make! Top-rated QCs earn their reputations, and form tends to follow form. They can and do avail themselves of the luxury of picking and choosing clients from those who can afford their services, but they well understand that their own reputations in part depend upon picking and choosing their clients well. The same is true of others who may be retained as consultants in the business world. And RiverOak, too, has taken the trouble to get the best advice available. You’d have to agree with that if you attended the Stone Hill Park Appeals in 2017. So there is a causal effect: successful consultants earn their reputations and do what they can to sustain them. Coming second isn’t the way to thrive. RiverOak might well have challenged PINS’s reservations about a small part of their first DCO Application but chose instead to engage with the Inspectorate constructively, through returning to the Pre-Application Stage that alone would enable them to avail themselves of s. 51 advice on all points at issue, defining carefully the scope of the Inspectorate’s concerns, what the Inspectorate felt would give them comfort, considering various possible options for resolving areas of concern and conflicting professional advice (where it existed). A clear advantage, built into the DCO Process which is focused upon identifying and expediting major infrastructure projects of genuinely national significance, is that this process was bound to strengthen the case that the Applicant had to offer (but only if the Applicant was attentive and responsive, as RiverOak clearly was). But in the event, only a small part of the Application was redrafted, and much that Stone Hill Park has tried to disparage remained untouched because it wasn’t challenged by PINS (now that’s something worth pondering!). I’m glad, Andrew, that you found the Inspectorate’s s. 51 advice to RSP of interest. You may well wonder why RSP who didn’t submit their revised application until they believed PINS was content with the scope and handling of all revisions, found certain chunks still troubling. But in truth the matters that you expressly refer to were matters that are appropriately dealt with at the Pre-Examination and Examination stages. I doubt RSP will experience difficulties in satisfying PINS at the RIGHT time: it isn’t as if they don’t know their investors and sources of funds. Timing, however, is important, and where any ‘error’ will be corrected following Acceptance for Examination, that will do nicely, provided won’t substantially undermine the case put forward by another party. It looks to me as though RiverOak is simply playing their cards close to their chest: who would regard that as unfair, unjust or unreasonable, provided PINS is satisfied in due course? What ROIC encountered was a toxic senior management team at TDC. With PINS that isn’t so. The contrast is evident to all close observers, and so there’s really much more worth saying at this point save that I fully appreciate why RiverOak are happy to deal with PINS rather than the clowns at TDC who have mucked up every major infrastructure project that this island has seen since the formation of that district council. Andrew, you seem amazed at how long it has taken for a DCO Application to be put together, discover points where greater clarity was desired, and correct those to the point that the Application was judged to merit Acceptance for Examination. Have you considered how long it took such things to progress before the Planning Act 2006 was brought in to expedite NSIPs and to protect the national interest against over-zealous NIMBYs? I fully appreciate that you “don’t understand why the application has been accepted.” Has it not occurred to you that you the SMT at TDC will suffer from that same lack of comprehension? That TDC, who have no money, will struggle to understand how the people they felt had no money have already spent far more than they believed was possible for ROIC or RSP? Try applying Occam’s Razor: This plan remains on track because ROIC do have access to funds and do understand how equity fund management projects work (as indeed venture capital vehicles have done for hundreds of years). When you start using emotive but meaningless words such as “toxic”, “clowns” and “NIMBYs” I more or less stop reading. However, apropos money, or lack of it: in its s51 advice to RSP (on accepting the Application), the PI lists 10 concerns related to funding, concerns expressed when the April Applicatuon was withdrawn, still not addressed. Concerns about who the mystery backers are, about where the money is, about RSP’s directors and accounts. It was lack of visible, available funds that scuppered ROIC’s CPO efforts. It was nothing to do with “Toxic Clowns” or “NIMBYs”. It would be refreshing to see you quote some actual facts, rather than emotive rhetoric, in support of your case. But you can’t, can you, because you don’t have any. Every independent expert opinion says that commercial aviation will fail at Manston. Show us just one expert independent opinion that says otherwise. What independent expert opinion says that commercial aviation will fail at Manston? How much time and effort did those independent experts put into their gathering of evidence and undertaking their analysis? Did they consider and fully take into account (or at all) what RiverOak actually propose to undertake, when reaching such conclusions? Have you considered the fact that the Planning Inspectorate during the Acceptance stage was not troubled by the case put forward by Chris Cain, Dr. Sally Dixon and Angela Schembri on behalf of RSP? Or that their findings and judgment were relied upon by Inspector Nunn of the Planning Inspectorate in reaching his unchallenged conclusions in the Stone Hill Park Appeals inquiry? We will, of course, see experts offered by RiverOak and perhaps by other parties during the submission of evidence during the Pre-Examination and Examination stages of the DCO process. I’m content to see how that pans out. Marva Rees Given the position of Manston , RSP’s application has a great chance of succeding and bringing much needed jobs and prosperity to the people of The Isle of Thanet. As a resident of Ramsgate I certainly hope they do. When the airport wad running, it emoyed 150 odd people, many on part time roles. Since it closed, the economy of Thanet had shown little sign of collapsing. Whrn the airport was here, it lost £100,000 a week just before it closed. What has changed, so that in addition to noise, pollution and environmental damage, an airport will bring jobs and boost the economy? Andrew, have you considered how the economy of Thanet compares to that of neighbouring district councils and others across the rest of Kent? I don’t think you have! Have you understood how very different the airport’s infrastructure and potential will be when the level of redevelopment that RiverOak plan transforms what it can do? Do you understand how fictitious a figure that £100,000 a week was in terms of real losses as opposed to provisional losses, and how they were calculated? Have you read the parts of the Application documentation that have remained unchanged (I have! ), or any of the parts that have been changed (I look forward to doing so!)? I don’t think it’s very constructive of you to wonder if I have read this or considered that. Why don’t you enlighten us, and give some facts? For the benefit of those of us who are not expert accountants, would you explain how a loss of £100,000,000 was anything but? Perhaps, in a few simple words, you could direct us to an independant report that says that Aviation at Manston will be a success? Dr(?) Pritchard have you learnt how airports operate yet and all the equipment needed? Or are you just bluffing your way through again? And why do you have bouncers at your BBqs? You tell everyone how important the airport is but you dont even know the first thing about airports or equipment, staff or even what the markings mean on the runway… you come across as a bit fake if you ask me. Given Manston’s position (ie stuck in the bottom right hand corner of the country, surrounded on three sides by sea, miles from London), not one expert opinion says that Aviation at Manston will work. The arguments for and against the viability of a re-developed Manston Airport will properly be a matter that relies upon the evidence submitted in the DCO Application and by interested parties during the Pre-Examination and Examination. We will not have to wait long to see whether that will give you comfort. But in the meanwhile, please do consider how well other airports have fared in coastal areas or are otherwise surrounded by difficult terrain. Try, for instance, a list of the ten busiest airports in the world in terms of cargo traffic? They include Hong Kong, Shanghai, Incheon, Anchorage, Dubai, Narita and Taoyuan. Other highly successful airports exist in well-known localities in the Carribean or Mediterranean seas, on the Atlantic or Pacific coastlines, or down at the tip of South Africa. Are inland airports better situated? In the mainland UK, which airports are closer than Manston is in time or mileage to the UK’s most important ferry ports? 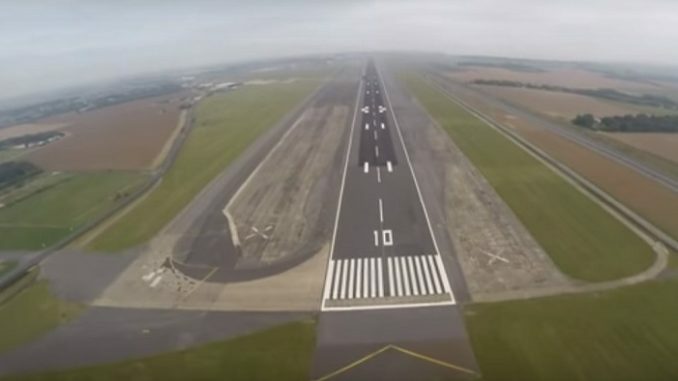 Although RiverOak at present makes no such claim in its DCO documentation, some experts, most notably Alan Marsh (who is a great believer in the potential of Manston), believe up to a third of all traffic at Manston is likely to end up backloaded onto HGVs that at present go back to Europe empty. Where that’s possible, it transforms the economics of road haulage that passes through Dover and Folkestone. With state-of-the-art end-to-end electronic cargo handling and a multiplication of the number of cargo stands backed up by vast hangarage, many things will be possible that the old Manston Airport couldn’t do effectively. Instead of asking rhetorical questions, just point to one expert independent report that says Aviation will succeed at Manston. You ask what independant expert opinion says that aviation will fail at Manston? You must know what the damage caused by aviation is,so why do you support RSP’s plans for a busy 244/7 cargo airport at Manston? Manston is in one of the worst possible positions for a cargo hub. Where do the spokes go, if Manston is the hub? The loud supporters of a restored airport at Manston have caused a great deal of damage to the political life of this area. And if RSP by some extraordinary stroke of luck get their DCO, those same supporters will be able to congratulate themselves on destroying any chance of Ramsgate developing its currently reviving identity as a pleasant seaside resort. If what people who say they want an airport really want is- how shall I put it?- a very small number of new homes, far fewer than 17,500, they should have spent their time and energy lobbying the local councils and MPs about it. They could have joined forces with respectable long-standing organizations such as the CPRE. Our Island is overcrowded, too many houses in an area of no employment and little hope for our young people. A new, properly run airport (not one set up to fail and be bought for £1) will provide proper employment with a future in all trades and skills, including apprenticeships, arranged with local colleges. Thanet will have an opportunity that should not be lost. Nearly 90% of Thanet people want the Airport. Thanet has been the dumping ground for E. London problem children, unemployed and and most of the prison population on release. We need good employment and a thriving industry. We have shipping, rail road and air services which make it an ideal centre for a cargo hub for Europe, even with Brexit. It will have no adverse impact on tourism as it is the beaches that attract them, but it will mean employment for people who actually pay council tax and contribute to the community instead of the disproportionate number of benefit recipients (from elsewhere) who bring the area down. Not according to any of the experts. Every one of them says just the opposite. 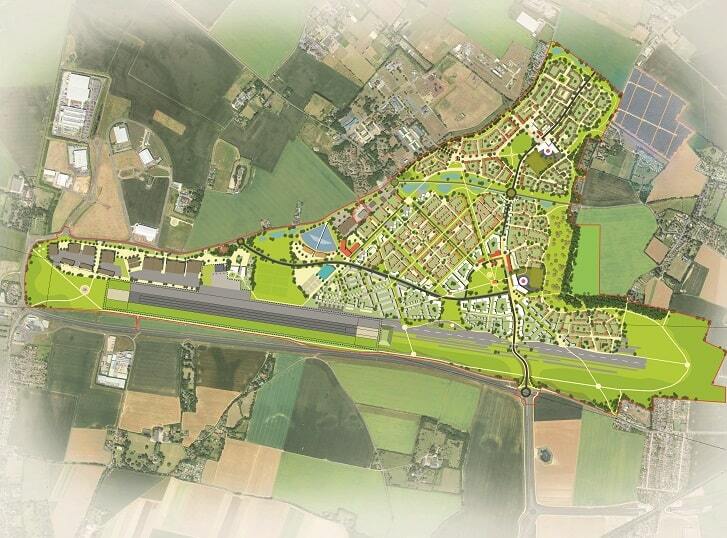 Manston is too far out on a limb, too small a customer base, inadequate rail and road links to be successful. Good Luck Manston Airport, hope to see you flying soon. The UK definitely will need this to meet our future infrastructure requirements. The RSP application is great opportunity for proper employment and careers for those in the Thanet area and beyond. As someone has already said, you can build houses anywhere, but airports you can’t. I think Ramsgate has a great future, having the Shipping arm, railway connections and road connections, along with the addition of the airport. You could have the potential of Fly Cruise deals bringing in a tourist trade from all over, and that will boost your local economy no end. All those ludicrous anti airport myths are about to be exploded at the DCO Examination. Each argument that follows a jaded, sad misguided direction on the basis of works of fiction (Avia Report etal) will be laid bare for all to see. The money, the people, the reality will suddenly hit home that RiverOak SP are the real deal and are the best thing to happen to Thanet pretty much ever! SHP (the speculators that never build anything) will now politely be shown the door so the big boys can get on and make Thanet the place it should be – alive and thriving with industry and tourists all around Thanet – including Ramsgate! I’d rather have houses and workplaces on a big brownfield site than an airport close to my home. Marva Rees – time to move then? You don’t fancy Airport near you but grid locked roads and car pollution are OK when they build 4000 houses? How many times: we get the houses, OR we get the houses AND an airport. Either way, we get “grid locked roads and car pollution”. I’d rather just have the houses. Why compound the misery by adding a 24*7 cargo hub airport? Gridlocked roads probably won’t affect me all that much as I don’t have a car. Houses, however, will stay stationary, and not one of them will pass above Ramsgate at a low altitude making a lot of noise. Only a fool and Madeline Homer could think that dumping 4,000 dwellings on Manston is a good idea! 8,000 plus residents, cars, residential and community services, no extra jobs locally are not going to solve Thanets problems or TDC’s for that matter! Like it or not the Airport is the pragmatic way forward that will have the maximum benefit in terms of direct and indirect employment opportunities and a more sustainable local economy only achievable by not adding to the demands put upon local services and infrastructure which clearly does not go with the housing as the recent development at Herne Bay proves – housing but no obligation to put in a Bypass. You’d get even less out of Gloag and the Chuckles. Thankfully the 18 hour a day Airport is on its way and housing is now distant nightmare and Gloags Ghetto can be consigned to the catalogue of planning application failures that Cartner & Musgrave have across the country! Show me one report that says anything to contradict the conclusions of Avia et al. Although RiverOak at present makes no such claim in its DCO documentation, some experts, most notably Alan Marsh (who is a great believer in the potential of Manston), believe up to a third of all traffic at Manston is likely to end up backloaded onto HGVs that at present go back to Europe empty. Where that’s possible, it transforms the economics of road haulage that passes through Dover and Folkestone. However, the most important spokes for a Manston cargo hub will be provided for much of inward bound cargos onto other outward bound aircraft that go on to other airports, not onto HGVs. When you aren’t constrained by stacking and the number of cargo slots, that just makes sense. For over-crowded airports, it doesn’t work. Ha Ha! love it when these folk who moved to our lovely Isle after Manston Airport last closed are quick to moan about its impending return. I am fully looking forward to Manston Airport being fully operational, providing Jobs, for all ages and training to the many unemployed youth, who left school over qualified for the lack of jobs for them in Thanet, who have no prospects of earning a decent wage in Thanet. Jobs for unemployed unskilled members of our community, as you do not need a degree to move freight from the belly of a plane to the back of a lorry. I guess those who moved here after Manston Airport closed should start looking for a home in another part of the country that has no aircraft,no Sea Port or any other industrial job creating environment. Still waiting on the usual anti airport brigade to come out with their usual drivel or have they jumped off beachy head on last nights news of the DCO going ahead. Perhaps people who want to live near a busy airport could consider moving near Heathrow, Gatwick or the East Midlands airport….or is that a silly suggestion? Only kidding! Of course,nobody could afford to move to prosperous areas near Heathrow, Gatwick or East Midlands with their high-paid jobs and buoyant property prices – so it was a very silly suggestion. Good evening to the comments of the wise (those who believe that a rebuilt and much transformed Airport will be the best thing for Thanet since well sliced bread). One day the economy of Thanet will be as good as the thriving areas around Heathrow, Gatwick and the East Midlands airports. This will be despite the efforts of Homer, Wells, Gloag, Musgrove and Carter who tried to kill off Manston for personal greed! For those of you against the airport your days are surely numbered, if you dont like it move, that will save a few houses being built. I wish to thank Alan Barker for reminding us all that our days are numbered. Also for his tacit reassurance that RSP, unlike all other commercial enterprises, is not trying to obtain Cartner and Musgrave’s land for reasons of personal greed. You might well “believe that a rebuilt and much transformed Airport will be the best thing for Thanet since well sliced bread”. Others think a unicorn farm, or a gold mine. Believe as much as you like: for an airport to work, it must have customers, in this case, freight. Where are they going to come from? The demand for dedicated freight is falling, and has been falling for a decade. There is surplus capacity at Heathrow (yes, even Heathrow), Stanstead and East Midlands. The latter is a true freight hub with warehousing, logistics companies and interconnectivity with the M1, M6, A1 and the railways. It has a huge customer base. What has Manston got? When, during the Olympics, Heathrow stopped taking dedicated cargo to free up space for Olympic spectators, none of that displaced air freight came to Manston. Not one pallet of daffs or crate of cuckoo clock components. Get real, people. Manston failed in the past. It will fail in the future for the same reasons. I’ve asked this question about half a dozen times on this thread: please will someone point me to an independant, expert (ie not Dr R John Pritchard) opinion that says aviation at Manston will work?? Indeed it was. As silly as the suggestions that people who don’t want an airport at manston should move from Ramsgate. Marva Rees, there is a huge difference when investing a large sum of money and getting rewards over many many years whilst creating jobs for local people to that of Ms Gloag who made promises she did not keep when buying Manston for £1 who claimed she wanted to sell but did not, then sells it to Cartner & Musgrave but kerps control of it! There was an airport at Manston and I can’t remember many people who had lived in Ramsgate for any length of time worrying about it or even noticing the aircraft, even the old ex- Russian transporters. People that moved there with no knowledge of the history were not so happy, but they should have done their research. I have no way of judging whether the airport can ever be viable again, but as one who lives right on the flightpath, I would not be in the least concerned if it did reopen. I would leave it to the do-gooders to worry on my behalf. L.Lawn’s lack of concern about living under a flight path indicates that he or she has not done any research into the serious ill-effects of aviation on people and the environment. When I moved here, there were a few flights a day-very noisy ones- over Ramsgate. You’d have to be totally deaf not to notice them.